So, a company that makes conventional fridges, LCD screens and smartphones was bound to get these things together some day. I am surprised it took them such a long time to accomplish this when we know that it’s competitor LG had rolled out its smart fridge some time ago. 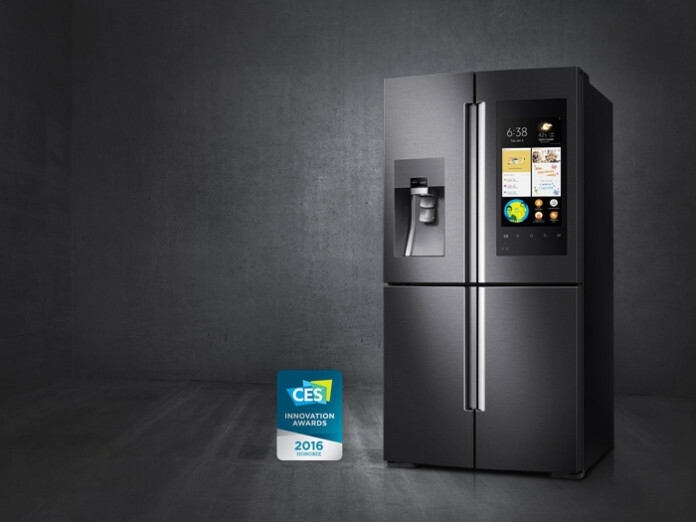 Nevertheless, the new machine named Family Hub Refrigerator was finally rolled out at CES 2016 and it has a good blend of smart features and traditional refrigerating prowess of the company. So, will it be the next big thing in the internet of things? Let’s find out more and try to answer that question. The fridge copied it’s competitors by placing a big 21.5 inches LCD display at the front of the refrigerator. It is not a convention anymore but a design convention to have it at the front. It can be used to display recipes, have a peep inside with the help of an inner placed camera and also stream television with the help of Samsung TV. It also houses Bluetooth speakers for music streaming and can even pair up with other speakers to create stereo. Samsung wants to make this fridge the center of family entertainment and has named it accordingly. The inside of the fridge has three “High-quality” cameras that can even be accessed through the fridge’s smartphone app anytime you want. So, you won’t have to get up and see what’s inside it when you can see it wherever you are. Parents would actually love it and be able to monitor which one of their children is not taking a balanced diet and nicking food all the time! Child-diet monitoring aside, you can finally be able to view your fridge back home when at the grocery store and find out exactly what you need to buy! Also, since it is connected and everything, you can also do your grocery from home. By partnering with Mastercard, Samsung has created an app called Grocery that you can use to buy stuff directly through your family hub refrigerator. Various vendors can be used to access products like FreshDirect and ShopRite that have also appeared in the video. 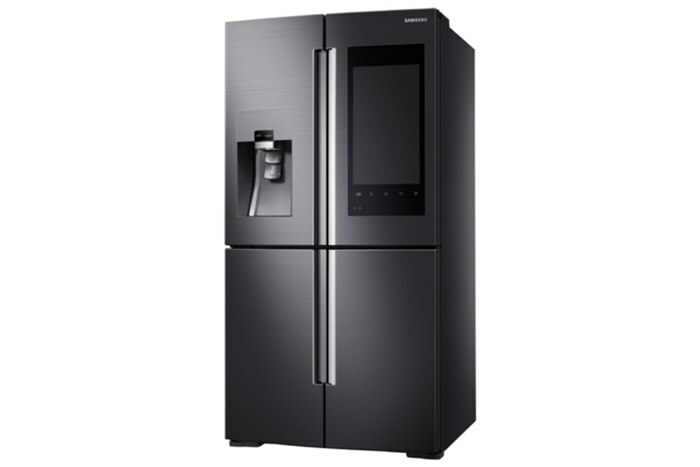 So, by connecting your fridge with smartphones and sound systems, Samsung has gone further than “no man has ever gone before” towards the internet of things. Hopefully, the cooking range, salad cutting and dining table will be next to be automized! We are living the dream, fellow foodies! One by far the best smart fridge! the contents are so cool! Drums in addition , Handheld: BBC The Airwaves Training Sessions 77-89 (1994).